Cycling into a new year, during these long nights I am drawn to light: to firelight and moonlight and to foods that are white or bright with inner light. Circular shapes reflect the calendar’s cycles and reflect the full moon that in two nights will appear as a super big, super round somewhat rare supermoon, or perigee syzygy. 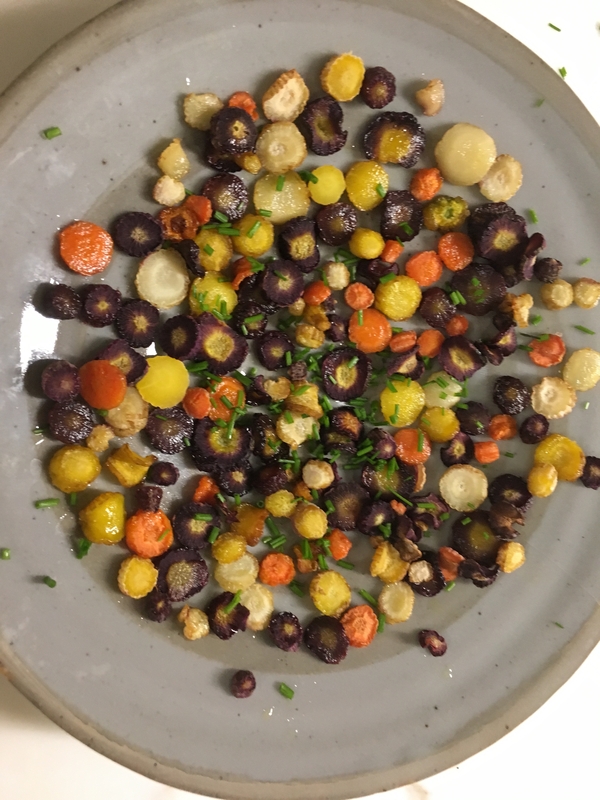 This dish evolved as I was cutting a bunch of rainbow carrots. 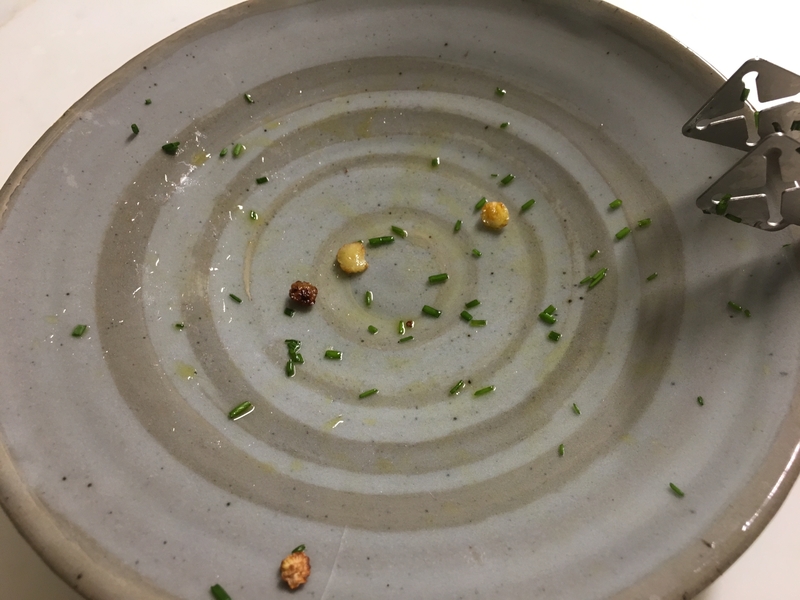 Each slice looked different from and more beautiful than the one before it. Some were purple skinned and yellow inside; others were orange rimmed and lighter orange inside; still others wore shades of white inside and out. All had inner circles. Cutting them paper-thin, I savored each mesmerizing moment spent slicing. Placing the slices on the baking sheet for roasting, I composed a mosaic of orange, yellow, white and purple discs. Wishing you, my patient followers, a full, multi-colored , multi-textured, multi-layered year of good habits, darkness and light, balance, compassion and peace. Cut off the tops and scrape off any tiny hairs on the skin of the carrots. Immerse the carrots in water to clean. 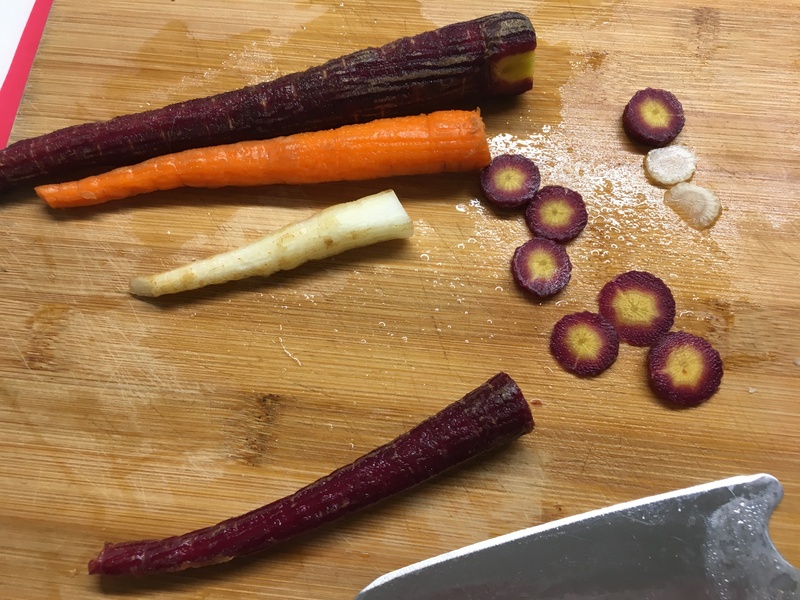 Use a good santoku or nakiri knife to slice each carrot into paper-thin rounds. 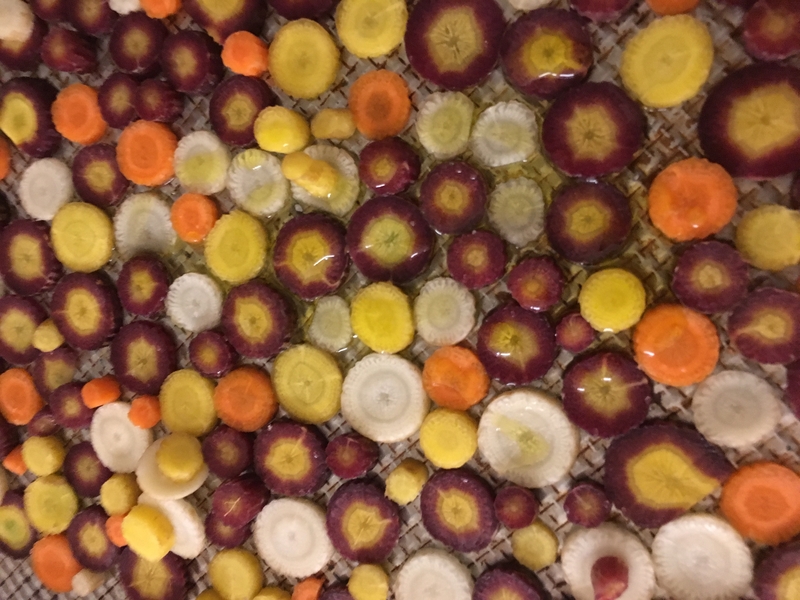 Arrange the cut carrot rounds on a large stainless steel baking sheet (or use a pyrex or ceramic baking pan). Drizzle the tops with olive oil; sprinkle with sea salt. Place in the oven and bake for about 20 minutes, or until carrots are lightly browned, but not burnt. Rinse and chop the chives and carrot tops if using. 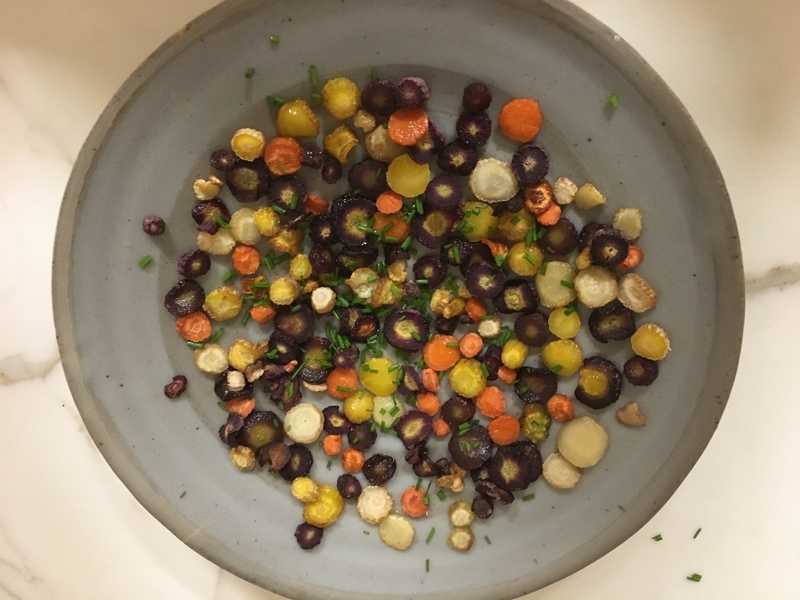 Remove carrots from oven and plate them in a circular pattern. Top with chopped chives and carrot greens, as desired. Serve with couscous or millet pilaf.